Lamps are a very important aspect of design and always great opportunity to add flair to any room. Below are three great DIY Lamp projects Steed has done. The first two DIY lamp projects Steed took existing lampshades and by simply adding a beautiful fringe created a whole new look to this table lamp. Steeds most recent lamp project was done while he was in Ibiza, Spain this summer. 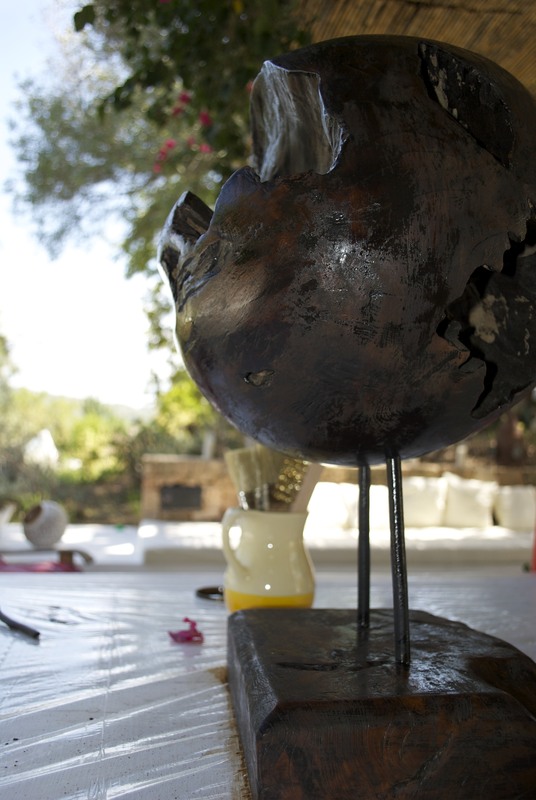 His trip was filled with design shopping and taking in the local inspiration of everything Ibiza has to offer. He stumbled upon these teak wood balls from Indonesia and fell in love. They wired these pair of teak balls gave them stands. He then proceeded to do multiple stains to obtain a rich dark matte finish.